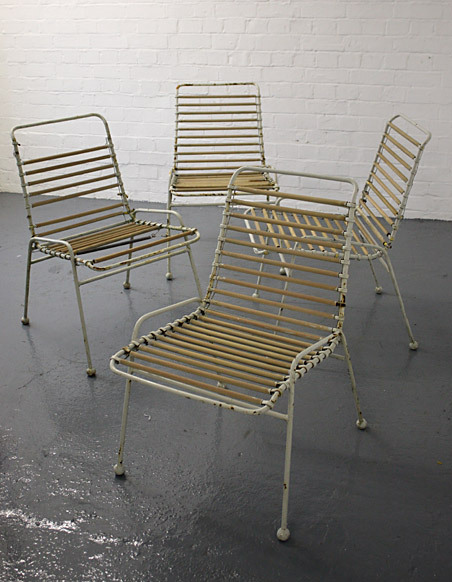 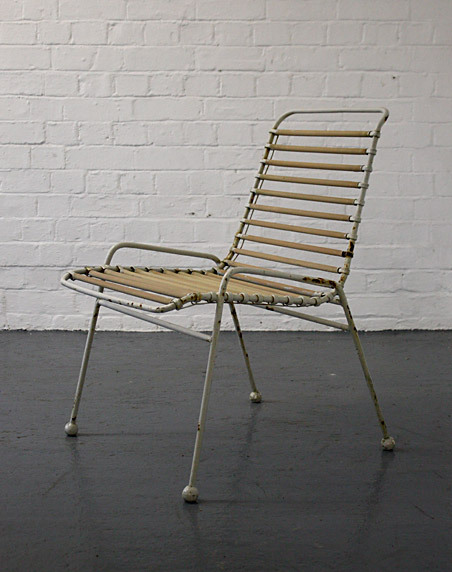 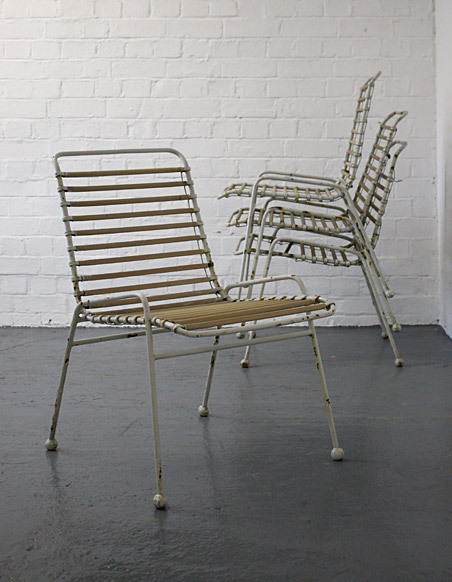 A set of four extremely rare Springbok chairs designed by Ernest Race in 1950 for the Festival of Britain, 1951. 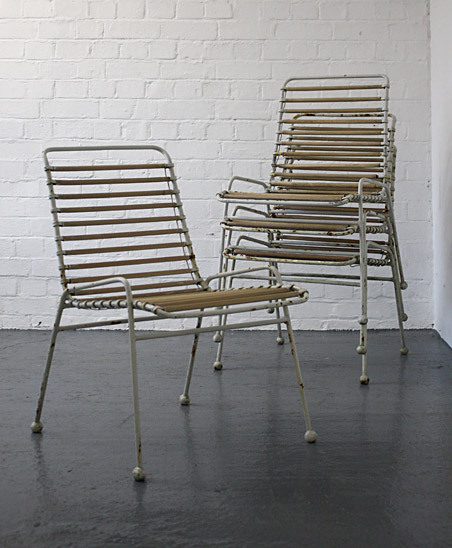 These chairs were purchased from the Festival after it finished. 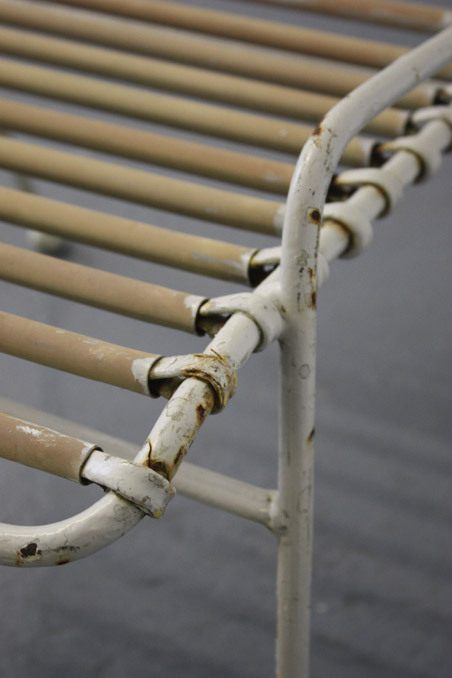 Stove enamelled metal rod, with PVC covered seat springs and ball feet. 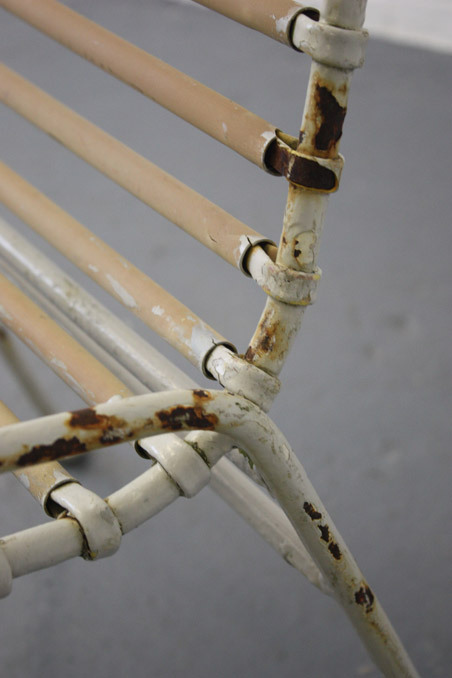 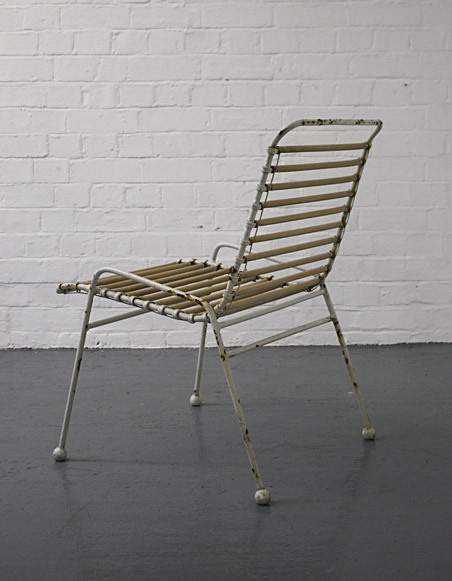 All of the chairs have wear to the paint and surface rust, one chair is missing some of the seat springs and there is some overpainting in places.